Cannot wait for this one!! One of my most favorite authors and she has sooo many names! I don't know how she can keep them all straight!! You go girl!! I'm not big into this genre, but it looks interesting. Hope you enjoy it! Reading the blurb gave me chills. I think I kinda wanna read this one. Will be waiting on your review. This book does look pretty good! oh looks really good. new to me. I haven't heard of this book before, but it does sound pretty interesting. And who is this author? This looks awesome! 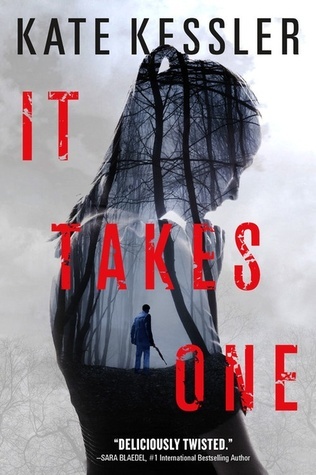 I've been really into murder thrillers lately so this book is going to go on my tbr list! This is the kind of book that I love. I am going to see if I can get a copy from the library. I love being able to start a series from the beginning. Great pick! Oooooh! This does sound amazing! I don't think I've ever heard of this author, but who knows if she has 8301 names! XD I hope you love it! This is one I haven't heard of, but I love the sound of a thriller! I haven't heard of this author or this book, but it looks fantastic. I am always up for a good thriller. Oooh hope you love it!! Sounds interesting but I'm not sure it's for me. Hope you enjoy it though. I've never heard of It Takes One but oooh it sounds so good! I will definitely check out the author's other books too. Thanks for sharing, Jessica! Wow! That cover and then that blurb! Just wow! Oh, this sounds dark and dangerous! Hope you really enjoy it when you get to read it, Jessica! Oooh... this sounds like a thrilling read! Great pick!